I just created a way for you to follow this blog if you are interested! I'll send out an update every Friday (if there are any new posts). Thank you for following, I’ll send updates once a week on fridays! 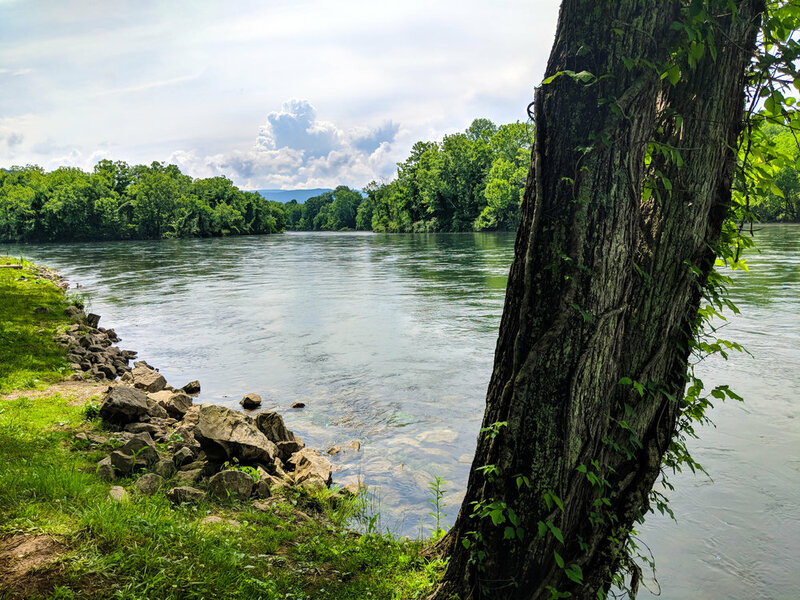 After a couple days in Nashville, we headed out for the Clinch River just north of Knoxville, Tennessee. We laid out some blankets by the river to cool off a bit and read for a few hours. Kinsey compared the sudden popularity of the river to hipsters taking over a local dive bar they heard about on the internet and we all had a little chuckle. His laughter was probably more directed at the hipsters in his fishing hole, but he was still willing to share some tips with us. This trip will be like that I think, exploring those hidden gems that have been uncovered and trying to be respectful to those who would rather them remain undiscovered. 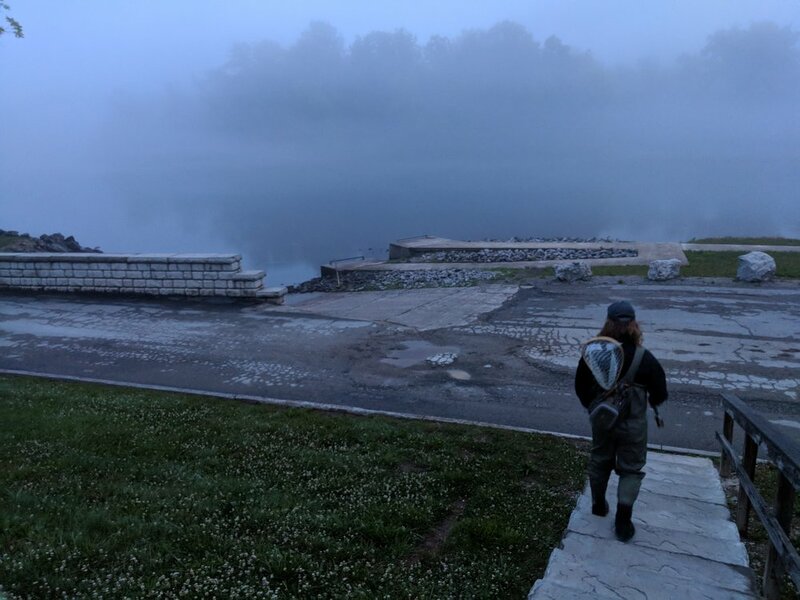 We got up at 4 am to head back to the Clinch River—the flow was supposed to be low enough to wade until around 10 AM when the TVA would start running generators from the dam. We didn’t catch much, but the river was gorgeous early in the morning. There was an uncanny blue glow coming through the morning mist for a few hours. Pictures don't really do it justice. That afternoon we headed into the Smokey Mountains to try our luck in the mountain streams. It was pretty rainy, but we set up camp under a couple of tarps and took a short hike to a nearby stream. Kinsey caught a beautiful brook trout before the rain forced us back into our campsite for the night. We took our time the next morning, stopping to have some eggs and bacon from our camp stove. 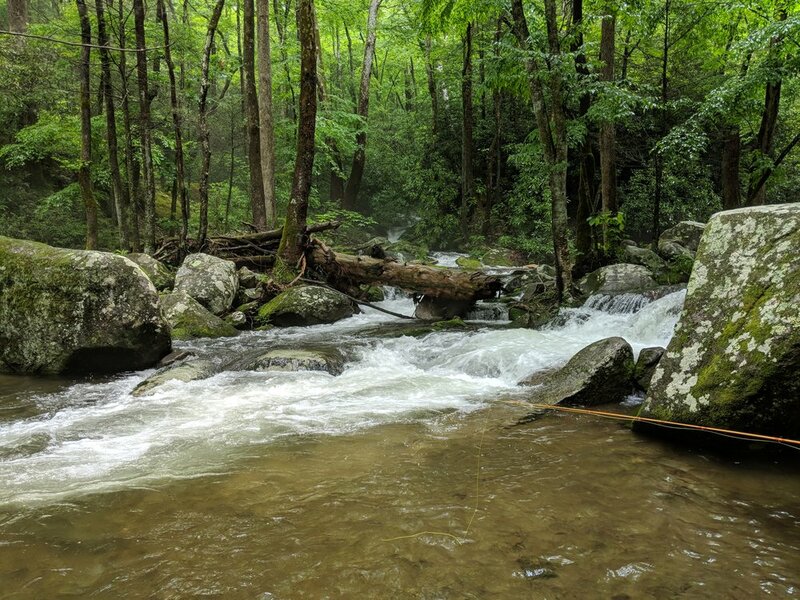 We fished a lower part of the stream on our way out of the Smokies where we each caught a few feisty and wild rainbow trout before heading into Knoxville to get a little work done.